Luca Benucci’s vast performing and didactic career spans over 30 years and has left an indelible mark on the international music scene. Championing all genres of music under the batons of the most notable Orchestral Directors of our time, developing unique and varied Jazz, Chamber and Solo programs collaborating closely with Jazz and Classical Virtuosi and Pop/Rock stars alike, and by innovating new pedagogical approaches to performance and practice methodology, Mr. Benucci has positively influenced and enriched the lives of numerous professionals, amateurs, students, and audience members throughout the world. Mr. Benucci has been invited to play as Guest Principal Horn in many prestigious Orchestras such as the Chicago Symphony Orchestra, Berliner Philharmoniker, Staatskapelle Solisten Berlin, Super World Orchestra, Israel Philharmonic, Teatro alla Scala di Milano, World Master Orchestra and ConcertGebouw in Amsterdam under the baton of Riccardo Muti, Claudio Abbado, Simon Rattle, Daniel Baremboim, Seiji Ozawa, Gustavo Dudamel, Wolfgang Sawallish, Christian Tielemann, Carlo Maria Giulini, M.W. Chung and gastronome and loves to spend time with his two sons, Giacomo and Niccolò. He still holds the full-time position of Principal Horn in the Maggio Musicale Fiorentino Orchestra since 1995, under the direction of Zubin Mehta. 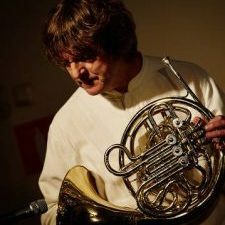 When he isn’t working in the Orchestra, many of his other projects are done in collaboration with artists and musicians in chamber groups such as the Nuovo Quintetto Italiano, Italian Brass Ensemble, the PopHorn Ensemble and he is member of the Italian WonderBrass. In addition to his musical work, Mr. Benucci founded and acts as Artistic Director of the Italian Brass Week, an annual International brass Symposium and Festival now in its 17th season, and the World Brass Association in order to provide easily accessible world-class education to students from both Italy and around the globe. He has also established musical organisations and groups such as the Italian Chamber Orchestra, Mimesis Formazione, Maggio Formazione, Sardinia Brass Festival, Santa Fiora in Musica, Note di Viaggio, and Meet the Soloists – a project that brings Principal players and Soloists from the All over the world together for intimate and informal concerts and lectures. As a highly sought after instructor, Mr. Benucci has held masterclasses in the most acclaimed Universities and Conservatories in the world, including Boston University, Roosevelt University, Juilliard School of Music, Curtis Institute of Music, Boston Conservatory, Indiana University, Puerto Rico Conservatory of Music, Ankara University, Ionian University of Corfu, Maastricht Conservatory, Barcelona Conservatory, Valencia and Madrid Conservatories, Tel-Aviv and Jaffa Universities, Musashino Music College of Tokyo, and the Shanghai and Beijing Conservatory, Singapore University, Manaus University, Puebla (Mexico) and Gdansk University in Poland. 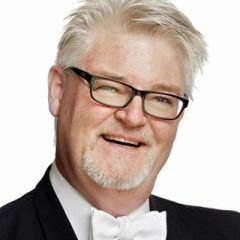 He has also been invited as a guest soloists and teacher to international Brass Festivals in Japan, Cina, Costa Rica, Spain, USA, Mexico,Brasil, Uruguay, Germany, Austria, Swiss and many others. In his spare time, Luca is an avid chef and gastronome and loves to spend time with his two sons, Giacomo and Niccolò. Ms. Handler is the principal tuba player of the Israel Symphony Orchestra, which is the orchestra in residence of the Israel Opera. She assumed the position starting from the 2001-2002 season. Ms Handler has performed in many countries with the Opera- Finland, Germany, Italy and more. Ms. Handler is on the faculty of the Jerusalem Academy of Music and Dance, the Levinsky College of Education and the Israel Conservatory of Music and the Israel conservatory of Music. 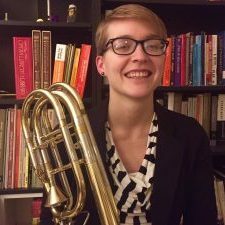 Ms. Handler has been a very active member of the Brass Chamber scene in Israel- she was a member of the Israel Brass Quintet for 15 years. 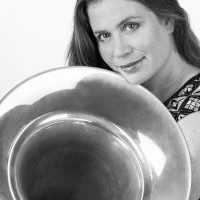 She is the founder of the The Israel Tuba Duo released their disc Tubalicious in January 2018 and has brought important tuba soloists to Israel (Roger Bobo, Oren Marshall and Beth Mitchell) for concerts and master classes. Furthermore, Ms. Handler performed in the prestigious Bashkirova Chamber Music Festival in Jerusalem. She released her first solo disc in 2014- “Tuba in the City” which has had great success both nationally and internationally. She is in the process of releasing her second solo disc. 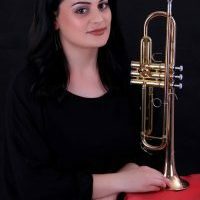 Avital has performed as a soloist with the Rishon Lezion Orchestra, the Israel Chamber Orchestra, the Holon Bama Orchestra, The Tel-aviv Soloists ensemble and the Ariel chamber Orchestra. Moreover, Handler has performed with the Israel Philharmonic, the Czech Radio Symphony, The Raanana Symphonette and the PMF festival orchestra. Handler performed her mandatory army service in the prestigious Israel Army Band. Ms. Handler received international and national recognition, winning prizes at different festivals. Furthermore, as a member of the Israel Brass Quintet, Ms. Handler was awarded several prizes at a renowned Jewish Music Festival in Holland. 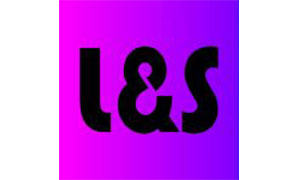 Handler received many scholarships from the Israel-America Cultural Foundation, the New-York city Foundation for the Arts and full scholarships towards both of her university degrees. 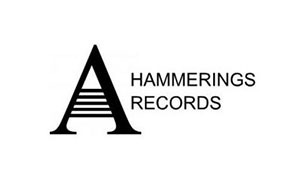 Ms. Handler completed her Bachelor of Music degree from Boston University and her Master of Music degree from the Manhattan school. She completed both degrees with the highest honors; Summa Com Laude. Ms. Handler is a Kanstul Perfoming Artist. Avital loves a good game of tennis and bike riding. She divides her time between her two loves- the tuba and her family, who always remind her of the joys of life. 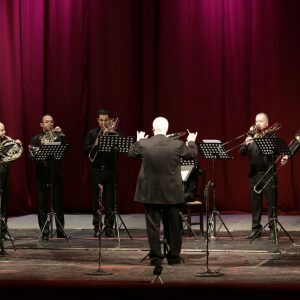 OFFA Ensemble is made on 2016 by artists of “Army Orchestra” in Albania. These ensemble is quite active in many official celebrations of serveral institucions in Albania and also in many concerts or festivals. These artists have brought to “Military Orchestra” a new artistic spirit and coolaboraion since except work they are close friends with each other. 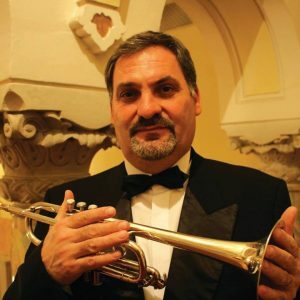 Originally from Moldova, S Carstea graduated from the Music School “E.CocXin 1976, and in the same year he became a student of the State Institute of Arts,” G.Muzicescif, trumpet class. 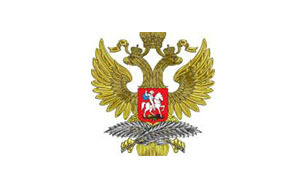 Since 1980 he has been a member of the Chisinau State Philharmonic Orchestra, Moidova, for a period of 17 years. In his capacity as an orchestra he evolves under the baton of several international fame conductors such as Yuri Simonov, Karl Ostrreiher, Anatoly Vais, Yuri Temirkanov, Gh.Rozhdestvensky, and others. In 1988-1989, S. Carstea received a postgraduate scholarship at the French National Conservatory in Paris, where he studied trumpet with renowned teachers such as P. Thibaud and A.Cure, and chamber music with J. Douay. On his return to Chisinau, he founded the Moldavian-Brass Brass Quantum, with which he has been evolving for 7 years both in the country and abroad. 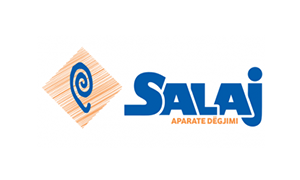 Records for National Radio and National TV from Moldova. In parallel S.Carstea supports intensive didactic activity in several specialized educational institutions in Chisinau. 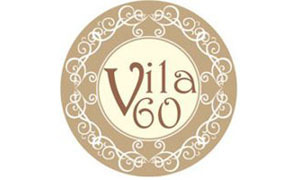 In 1992-1993 he became the artistic director of the Moldavian. Philharmonic, and during this period he intensively promotes the Symphony Orchestra on various European stages. 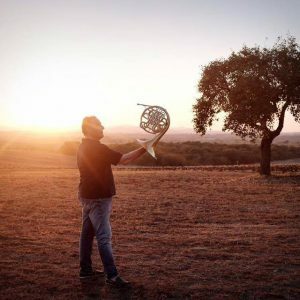 Since 1997, he has been transferred to Timisoara, Romania, as the first trumpeter of the Symphony Orchestra of the Sanatof Philharmonic Orchestra, and since 2000 is the first trumpeter at the National Opera in Timisoara, where he has been active until now. In 2000 he became an associate professor at the Faculty of Music of the West University of Timisoara and in 2006 published “15 modern technical studies” for the trumpet. In 2007 he organized the first edition of the International Brass Contest in Timisoara, and in 2009 and 2011 the next two editions His concerts as a soloist in the country and abroad are appreciated by the public and the press, and his repertoire includes a very wide variety of musical styles – from Baroque avant-garde, and many Romanian and foreign composers have dedicated him to various works , which he has performed at various modern music festivals in the country and abroad. 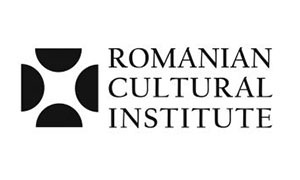 Sergiu Carstea is invited to perform interpretative master classes in several educational institutions in the country and abroad, and a member of the jury at several international competitions He is a PhD student at the Department of Musicology and Composition of the Academy of M Uzice Theater and Fine Arts in Chisinau, Moldova. Kledia Toshi i nisi studimet e para ne piano prane shkolles se muzikes “Prenke Jakova” Shkoder, e me pas vazhdoi studimet prane Akademise se Arteve , Tirane me Pedagoge Anila Tartari. 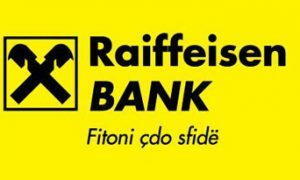 Ne vitin 2010 angazhohet si Pedagoge e ftuar prane U.A , T.K.O.B. 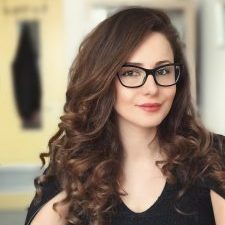 Aktivitetet e saj solistike jane te shumellojshme si soliste dhe ne Muzike Dhome te zhvillara ne qytetet: Shkoder, Tirane, Korce etj. Aktualisht ajo eshte Pedagoge me kohe te plote prane Liceut Artistik “Jordan Misja” Tirane dhe gjithashtu vazhdon aktivitetin e saj koncertale. I am born in Prishtina (16.07.1981) but my origins are from Macedonia – Kercova. I have graduated at the University of Prishtina and I took a master degree at the Academy of Visual Arts Esra (Skopje-Macedonia). My pieces are interpreted in Tokyo (by a brilliant Trio from Japan “Flute Trio Fioritura), in USA (by Atoka String Quartet) in Macedonia (by “Ad Libitum Trio”), Poland (by “Nella Fantasia ” string quartet) , in Germany and in Kosovo by various artists. I have already 15-year contribution to the education of younger generations as a teacher in different high schools of music in Kosovo and I continue to work as teacher. 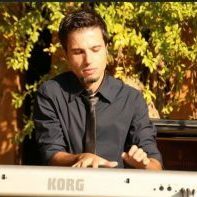 I am also known as a piano player performing live music with various artist of different genres including Latino, Jazz, Flamenco etc. 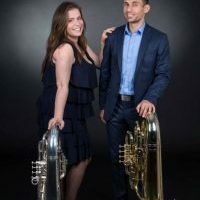 The Israel Tuba Duo is comprised of two of Israel’s top tuba players – Avital Handler, principal tubist of the Israel Opera and Haim Mazar, a high in demand freelance musician and a Juilliard graduate. 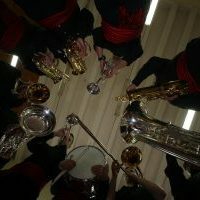 Our goal is to bring the tuba to the front of the stage in both entreating and educational ways. Formed in 2015, IDT has performed many recitals and masterclasses across Israel. 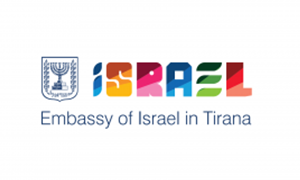 Including youth educational concerts sponsored by the Israel ministry of culture.In addition to performing in Israel ITD had two international tours to the United States sponsored by the The Office of Cultural Affairs at the Consulate General of Israel in New York. In February 2018 ITD released its debut album with a fantastic varied program for listeners of all backgrounds. Genti Shahini graduated classic pianno at Konservatory of Pragues, with very high scores.also he has conducted master classess in Vienne, Paris, Germany etc. By V.Ashkenazin, Balashkiev, Alexander Jenner. After returning from Prague, he graduated for directing at Academy of Arts in tirana.He was the winner of several national and international prizes. 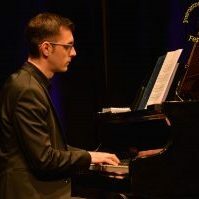 His real passion, modern music will emerge/ appear from childhood, and he is currently among the best pianists in the country, especially music jazz. Aldi u lind më 1987 në Korcë. 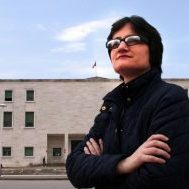 Pasi diplomimit në vitin 2009 në klasën e Prof. Margherita Kristidhi/Milkani pranë U.A në Tiranë, punon si pedagog i ftuar ne Universitetin e Arteve,Tirane dhe në Universitetin Shtetëror të Tetovës, Maqedoni në periudhen 2009-2013. Aktiviteti i tij koncertal përmban koncerte Solistike dhe në formacione të Muzikës së Dhomës me artiste të njohur si: E.Mulla, P.Guralumi, K.Tusha etj. Që prej vitit 2015, ai është Pedagog me kohë të plotë në Liceut Artistik “Jordan Misja” Tiranë. 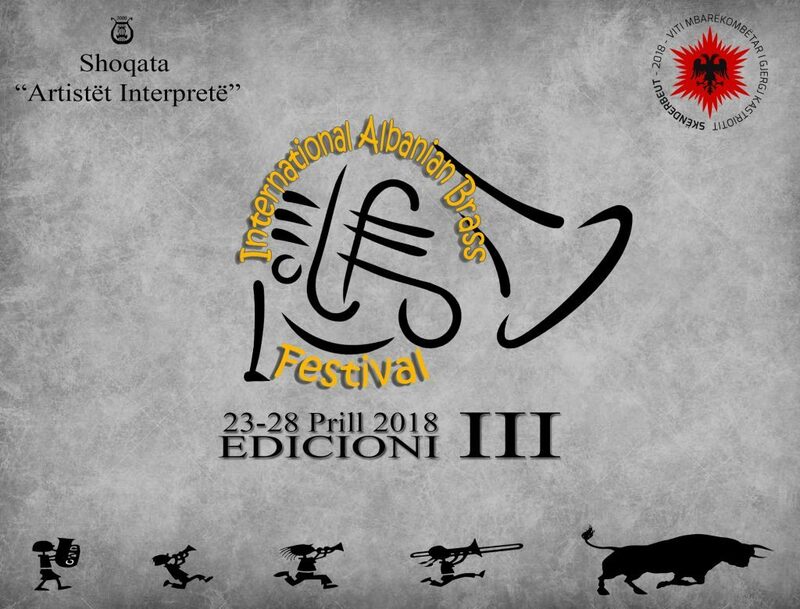 Andi Kongo, will present an orchestral jazz arrangement of “Tuman Kuqe” (Albanian traditional song), which will be played by the “Albanian Brass Ensemble”. He has graduated from “Lucio Campiani” Conservatoire of Music in Mantova, Italy in choir conducting and composition. 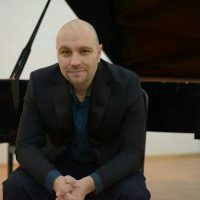 In Albania he has been playing in two concerts as a pianist for Gasper Çurçia Big Band, under the direction of Aleksander Lalo. Pianist, vocalist and leader of the musical band performing in two editions of A-Show, a TV show authored by Adi Krasta. 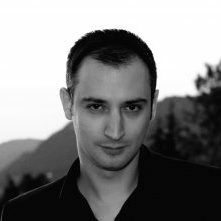 He has composed and arranged many songs, jingles for TV shows, soundtracks for short movies and has participated as a songwriter and arranger in several National Festivals of Song at the Albanian Radio and Television. He has also participated in “Jazz in Albania” Festival (July 2016). 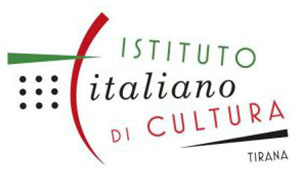 In Italy, he has played the piano in two concerts of the jazz singer Barbara Casini with the Bonporti Jazz Band under the direction of Paolo Silvestri (July 2017). From 2016, he is pursuing a master degree in Jazz studies at Trento Conservatoire of Music, Italy. He has also participated in “Siena Young Lions – Meeting dei Conservatori Europei del Jazz”, hosted by the National Jazz Academy of Siena (november 2017). Eshtë një formacion me instrumentë të tunxhit që luajnë muzikë tradicionale Shqiptare. 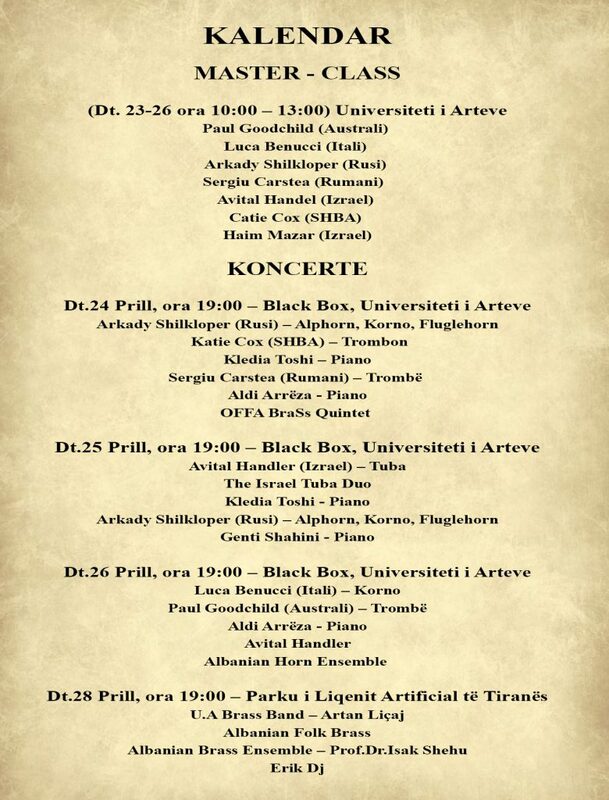 Në përbërjen e tij, ky formacion ka instrumentistë të njohur nga Orkestra Simfonike e RTSH, Orkestra Frymore e F.A etj. Ata spikasin me një repertor shumë atraktiv pasi janë mbeshtetur mbi bazën e këngëve të njohura tradicionale, duke i ri-aranxhuar e duke i risjelle ato në një mënyre krejtesisht ndryshe. 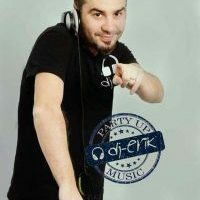 Is performing in the best Clubs in Albania for more than 15 years like stable or guest DJ. He is well known for his style attending to the public the latest hits. Also he is cognitive of the Balkan traditional music. It is created by famous artists in Albanian. 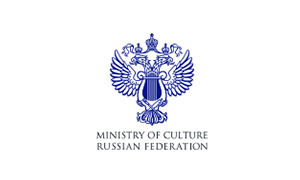 They are very important at the respective Institution where they develop their artistic activity like in: National Opera House Orchestra, Radio Television Orchestra, Pedagogues at University of Arts, Army Orchestra. They reason why they create these ensemble is to unify the Brass Clasess in Albania, to increase the artistic level in general and also to give to the public a profesional inerpretation sharing Albanian and foreing music acros the world. Leonora Gerbeshi from Kosovo , finished music high school “Çesk Zadeja” in Ferizaj at the class of Prof.Avni Krasniqi. Vigjilencë Islami from Prishtina , finished the elementary and secondary music school “Prenke Jakova” in Prishtine, at the class of Prof.Aida Gjikolli and Prof.Agron Shujaku. She took part in various competitions in Kosova and Macedonia . 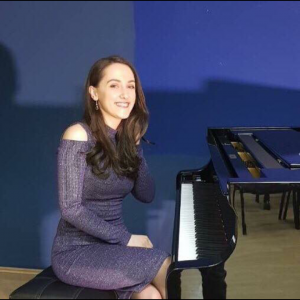 She had a piano recital(2014) ,have been part of “Chopin Piano Fest” in Prishtina (2012,2016,2017,2018) and performed in many concerts. She held masterclasses with well-known pianist : Gotlieb Wallisch, Maria Nemtsova,etc. She is currently studying piano at the University of Prishtina , at the class of Prof.Valbona Pula-Petrovci. Fanfara Arberia is a new music band. It was born as a logical need to reveal and highlight the best musical values of all the genres music, focusing on Albanian folklore. It formed by experienced musicians and instrumentalists who have been playing for years. “Fanfara Arberia” brought them together to give each other the chance to play music, in this very interesting lineup. 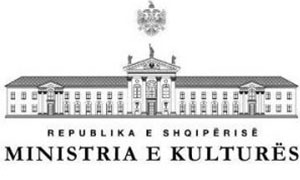 This artistic group is inclined on its own ambition and high artistic professionalism to achieve a presentation abroad of the many motives and values of folklore of various forms, and not only Albanian music.